NGEx Starts Josemaría Pre-feasibility Study | NGEx Resources Inc.
VANCOUVER, July 3, 2018 /CNW/ - NGEx Resources Inc. ("NGEx" or the "Company") (TSX: NGQ, Nasdaq Stockholm: NGQ) is pleased to announce that it has started a Preliminary Feasibility Study ("PFS") on its 100% owned Josemaría Project in San Juan Province, Argentina. The Company has retained SRK Consulting (Canada) Inc. and Ausenco Engineering Canada Inc. to complete a PFS which will evaluate the potential to develop an open pit mine and adjacent process plant to exploit the Josemaría deposit. The PFS will benefit from the extensive work already completed on the project and is expected to be finished by the first quarter of 2019. NGEx's CEO, Wojtek Wodzicki stated, "We are very excited to begin a study that we expect will highlight the full potential of the Josemaría project. We expect the study to build on earlier work and to demonstrate the potential for a straightforward, low strip, open pit operation, producing a high-quality precious metal-rich copper concentrate. It is envisioned that the mine and all associated infrastructure will be located in the mining friendly province of San Juan. The PFS economics are expected to benefit from the recently proposed decrease in the Argentine corporate tax rate from the 35% used in the Constellation PEA to 25% starting January 1st, 2020. Additionally, NGEx's attributable share of the net present value of the PFS project will be 100% compared to 60% of the Constellation PEA project following our buyout of our Japanese partner's interest in Josemaría in 2017. A further important consideration is that the PFS will target mining all the Josemaría resource rather than the 37% contemplated by Project Constellation. The quality of the existing data means that the PFS can be fast tracked and we expect to present the results of the study by early 2019. Once the PFS is complete, we intend to move the project forward as quickly as possible towards permitting and development." The information was submitted for publication, through the agency of the contact person set out below, on July 3, 2018 at 8:30 a.m. Eastern Time. Technical disclosure for the Company's projects included in this press release has been reviewed and approved by Bob Carmichael, P. Eng. (BC). Mr. Carmichael is NGEx's Vice President of Exploration and a Qualified Person ("QP") under National Instrument 43-101 Standards of Disclosure for Mineral Projects (NI 43-101) and Jamie Beck P. Eng. Mr. Beck is NGEx's Vice President Corporate Development and Projects and a Qualified Person ("QP") under National Instrument 43-101 Standards of Disclosure for Mineral Projects (NI 43-101). 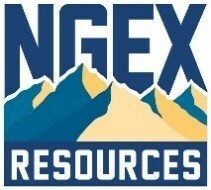 NGEx is a Canadian mineral exploration company with projects in Chile and Argentina. The Company's shares are listed on the TSX and on Nasdaq Stockholm under the symbol "NGQ". The Company's main focus is on advancing the development of its two, large copper/gold deposits, Los Helados and Josemaría, located in Chile's Region III and adjacent San Juan Province, Argentina. The Company owns a 100% interest in the Josemaría project and is the majority partner and operator for the Los Helados project, subject to a Joint Exploration Agreement with its joint exploration partner in Chile, Pan Pacific Copper ("PPC"). The Company is also actively seeking new exploration projects and carrying out earlier stage exploration on projects with large scale potential. Technical Report dated February 22, 2016 and titled "Project Constellation Incorporating the Los Helados Deposit, Chile and the Josemaría Deposit, Argentina NI 43-101 Technical Report on Preliminary Economic Assessment" with an effective date of February 12, 2016 the "Project Constellation Report" The Project Constellation Report is available for review under the Company's profile on SEDAR (www.sedar.com) and on the Company's website (www.ngexresources.com). The Mineral Resource estimate has an effective date of August 7, 2015. Mineral Resources are reported using a copper equivalent (CuEq) cutoff grade. CuEq was calculated using US$3.00/lb copper, US$ 1,400/oz gold and US$23/oz Ag and was based on copper, gold and silver recoveries obtained in metallurgical testwork on four composite samples representing the rhyolite, tonalite, porphyry and supergene zones. Copper recoveries for the rhyolite, tonalite and porphyry zones were calculated as a function of copper grade, ranging from a low of 81% to a high of 97%. Copper recovery in the supergene zone was fixed at 85%. Gold recoveries were fixed between 62% and 73% and silver recoveries were fixed between 53% and 75% depending on the zone. Details of the Josemaría Mineral Resource estimate are contained in the Constellation Technical Report. Certain statements made and information contained herein in the press release constitutes "forward-looking information" and "forward-looking statements" within the meaning of applicable securities legislation (collectively, "forward-looking information"). The forward-looking information contained in this press release is based on information available to the Company as of the date of this press release. Except as required under applicable securities legislation, the Company does not intend, and does not assume any obligation, to update this forward-looking information. Generally, this forward-looking information can frequently, but not always, be identified by use of forward-looking terminology such as "plans", "expects" or "does not expect", "is expected", "budget", "scheduled", "estimates", "forecasts", "intends", "anticipates" or "does not anticipate", or "believes", or variations of such words and phrases or statements that certain actions, events, conditions or results "will", "may", "could", "would", "might" or "will be taken", "occur" or "be achieved" or the negative connotations thereof. All statements other than statements of historical fact may be forward-looking statements. In particular, this press release contains forward-looking statements with respect to the timing of completion of the PFS, expectations that the PFS will build on the results of the PEA, expectations that the PFS economics will benefit from the changes in the Argentine corporate tax rate; expectations that all infrastructure and water source will be located in San Juan and other risks and uncertainties. Forward-looking information is provided for the purpose of providing information about management's current expectations and plans and allowing investors and others to get a better understanding of the Company's operating environment. Forward-looking information is based on certain assumptions that the Company believes are reasonable, including that the company will be able to complete the currently planned drill holes before the onset of winter conditions, the current price of and demand for commodities will be sustained or will improve, the supply of commodities will remain stable, that the general business and economic conditions will not change in a material adverse manner, that financing will be available if and when needed on reasonable terms and that the Company will not experience any material labour dispute, accident, or failure drilling equipment. These factors are not, and should not be construed as being, exhaustive. Forward-looking information is necessarily based on estimates and assumptions that are inherently subject to known and unknown risks, uncertainties and other factors that may cause the actual results, level of activity, performance or achievements of the Company to be materially different from those expressed or implied by such forward-looking information, including but not limited to: risks and uncertainties relating to, among other things, current interpretations of geological targets and potential for mineralization identified on surface to persist at depth or under cover rocks, the ability of drill contractors to reach target depths, as well as other risks and uncertainties more fully described under "Risks Factors" in the Company's Annual Information Form available under the Company's profile at www.sedar.com and the Company's website.